A wellness program is a must-have offering at any senior living community, whether it is an age-restricted apartment home community, an assisted living community, or anything in between. Research has shown time and time again that continued physical and mental wellness is incredibly beneficial for healthy aging in older adults. Providing a robust wellness program, therefore, is an excellent way for a senior living community to support resident health, happiness and engagement. What, exactly, does “wellness” mean in this capacity, though? And what are the proven benefits of wellness programs at these communities? A recent report conducted jointly by the International Council on Active Aging (ICAA) and the ProMatura Group provides some illumination on this topic. According to ICAA and ProMatura, “wellness is an umbrella term meaning any quality-of-life offering, excluding nursing and medical services. These lifestyle options may be housed in one or more functional areas: wellness, fitness, resident life, activities, therapy, engagement or other organization-specific name.” In the context of senior living, a wellness program can be understood as any offering aside from care services that improves the quality of residents’ lives, in terms of their health and happiness. Examples of these life-improving offerings could be anything from yoga classes and cultural art performances, to money-management seminars and resident council sessions. The average length of stay at a community is higher for residents who participate in the community’s wellness program. Given the high quality of life reported by program participants, it is perhaps not surprising that program participants at IL communities were healthier and able to enjoy an active lifestyle over 2 years longer than those who did not participate in the wellness program. Participants subjectively rate their health very highly compared to the US population. 94% of program participants at CCRCs and 79% of participants in joint IL/AL communities rated their health as “good to excellent,” compared to 76% of seniors from the same age range (75-84) in the general US population. Since lower perceptions of self-rated health have been linked to mortality and functional decline, this increase in subjective rating can have a positive impact on residents’ longevity. With so much evidence highlighting the importance of wellness programs, seniors looking for a new living arrangement should be sure to review the wellness program at each community they’re considering. A community that can provide the right mix of engaging programs, activities, and events to support healthy living—in addition to comfortable apartment homes and other needed services—is clearly a better overall option. The residents of Avenida Cool Springs will have the benefit of our custom designed Five to Thrive resident enrichment program. 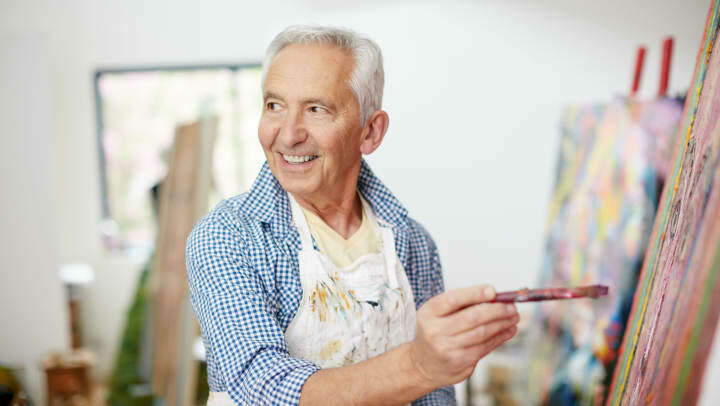 With a carefully designed daily, weekly, and monthly calendar full of classes, programs, activities, and events that involve the five key aspects of healthy aging, residents of Avenida Cool Springs will have the opportunity to participate in a variety of offerings as often as they prefer. An active, engaging lifestyle to make your own awaits at Avenida Cool Springs.